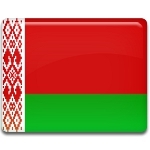 March 25 is Freedom Day in the Republic of Belarus. This unofficial holiday is not recognized by government due to political reasons. And this holiday is observed only by the Belorussians, opposing the current government. Freedom Day is annually observed on the date of establishment of the Belarusian People's Republic in 1918. It was declared during World War I, when Belarus was occupied by the German troops. The Republic ceased to exist on January 5, 1919, when Minsk, the capital of Belarus, was captured by the forces of Bolshevik Russia. Byelorussian SSR was founded to replace Belarusian People's Republic. Current Belarusian government under President Alexander Lukashenko is not supported by all Belorussians. They celebrate Freedom Day as a sign of demonstration against his presidency. The clashes between the demonstrators and police are not rare. Particularly about 10 thousand people went to street for protest against Lukashenko in 2006. The demonstration was broken up by Special Purpose Mobile Unit.